All I've been doing is stocking up on sweaters. I love this classic beige color, and the off-the-shoulder makes it perfect for a night out! I paired it with skinny jeans and my new Blush suede pumps, these have been at the top of my wish list for months. But I wanted a more affordable every day option for now. 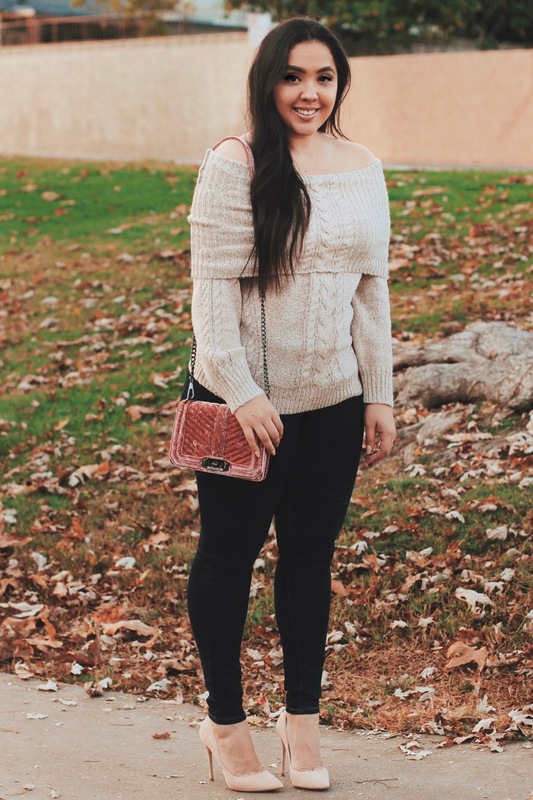 I also recently got this velvet crossbody, it's such a good Chanel dupe, and I love the pink!